It’s a glorious autumn day in Sydney today, so I’m going to share a recipe that’s magnificent enough to match the weather – pomegranate ice cream! I love this recipe for so many reasons. 1) The color. How gorgeous is this pale pink? The combination of fresh pomegranate juice and cream produce this lovely shade of pink that I just love. With the contrasting bright red pomegranate seeds, or arils, this is one stunning dish when it comes to colors! 2) No eggs. Scared of making custard-based ice cream? No problem. Don’t like eggs in ice cream? No problem. Don’t like eggs at all? No problem. This recipe has no eggs. 3) Fresh pomegranates. Pomegranates are a bit of pain to de-seed, but when all is said and done, you get a feeling of accomplishment, especially if you happen to make it through the de-seeding process without getting your clothing stained. And pomegranate seeds are so beautiful, like little jewels. Not to mention, they’re also very good for you. 4) Easy substitution. Save time by using store-bought pomegranate juice instead of de-seeding a fresh pomegranate. Just omit 2 pomegranates from the recipe and replace with 3/4 cup pomegranate juice. 5) No cook. Don’t feel like cooking? No problem. Too hot to cook? No problem. Stove not working? No problem. All your pans are dirty? No problem. I’m starting to sound like a broken record here, but really, it’s no problem! This recipe doesn’t require any cooking whatsoever. 6) No churn. No ice cream maker? No problem. Don’t have time to freeze your ice cream maker? No problem. Just whisk, transfer to an airtight freezer-safe container and freeze until firm. That’s it. You’re done. No problem. 7) The flavor. Oh, how do I describe it. Before freezing, the mixture is like a pomegranate whipped cream, and I bet you anything it’d taste lovely as a frosting on a chocolate cake. It tastes sort of like a pomegranate milkshake. But this is a recipe for ice cream, so make sure you freeze some of the mixture. It’s a lovely ice creamy texture and the flavor of the pomegranate is so soft. I’d almost say that if you don’t even like pomegranate, you might actually like this ice cream. If you’re nervous about it, just don’t decorate your serving with pomegranate seeds. 8) Only 4 ingredients. I can’t believe I saved this one for last. How good is that, though? Only 4 ingredients! As you can see, there are many reasons to love this recipe. In fact, I may just end this post here, grab a bowlful of this pink deliciousness and enjoy it out in the sunshine. Have a great weekend! 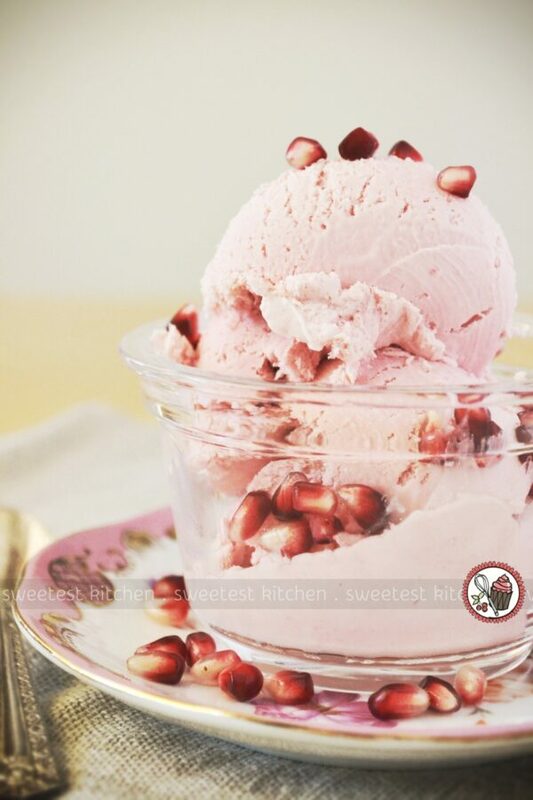 A delicious, fresh pomegranate ice cream that tastes like a pomegranate milk shake! A super easy, no eggs, no cook, no churn, no problem ice cream! Can also be used as a pomegranate whipped cream frosting if you decide not to freeze it. Juice two of the pomegranates** and the lime and strain the juices into a large bowl. Save the third pomegranate to use the seeds before serving. Sift in the icing sugar and whisk to dissolve. 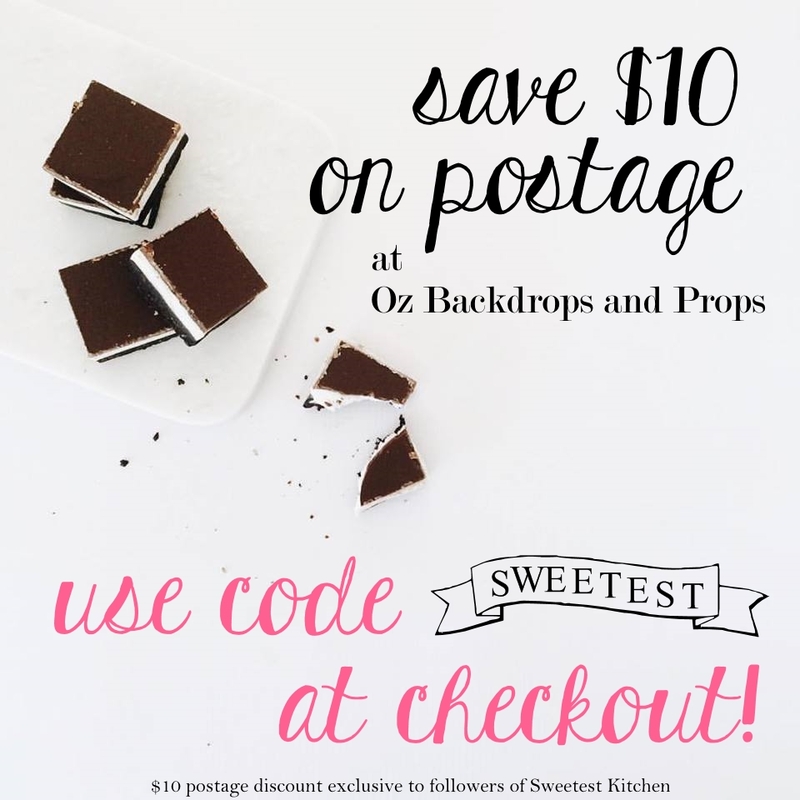 Feel free to use the whisk attachment of your stand mixer, or use a hand mixer or electric whisk - just be careful as the juice will splatter and can stain! Add the double cream to the pomegranate mixture and whisk, using your preferred method, until soft peaks form. If you're going to use this as frosting, stop here and frost your cake or cupcakes and serve immediately. Transfer the pomegranate whipped cream to an airtight freezer-safe container and freeze at least 4 hours or overnight. Remove from freezer 15 minutes before serving to soften, then serve in pretty bowls and scatter with seeds from the third pomegranate. *To save time, you can use ¾ cup store-bought pomegranate juice. **For instructions on how to juice a pomegranate, follow this easy tutorial at The Shiksa in the Kitchen. 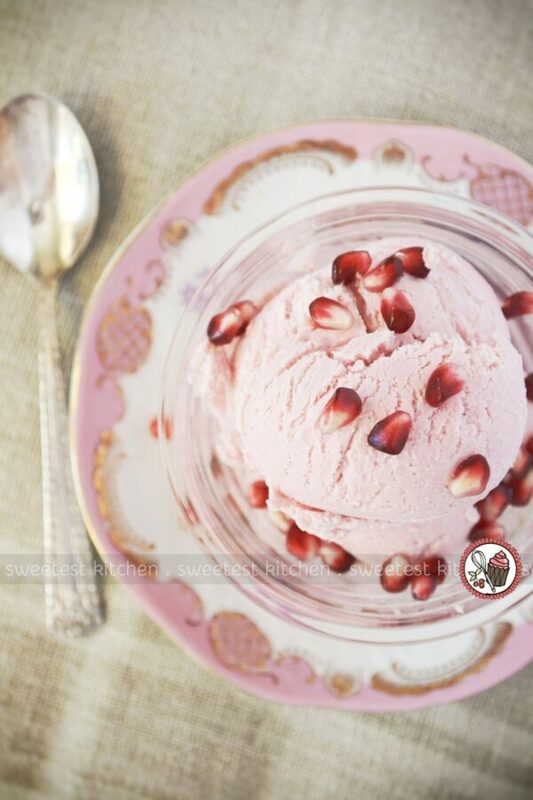 i heart pomegranate so this ice cream sounds amazing! the link for juicing pomegranates does not work! So sorry, Lacey. Try googling for instructions on how to juice pomegranates. I update with a new link asap. Is it 175 ml of icing sugar? The recipe is missing the units. Thank you! This sounds yummy and we can’t wait to make it. Mine didn’t freeze in time 4 hours wasn’t enough for me.